Sample Capacity 50 Nos. 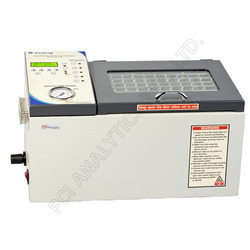 Microprocessor controlled, LCD Display, Water Bath & Gas Stations, Temperature upto 90 degC, Pressure upto 100 Psi, Timer Range 15secs to 10 hours. Volumes between 4ml to 200ml. 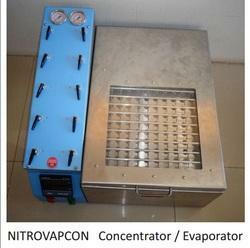 We are engaged in manufacturing and exporting of Nitrogen Concentrator, which is designed line with international quality standard. These are available in different specifications to suit the requirements of method development lab and public testing labs.